This is the first my homepage building with non a page wizard tools but I grab it from another pages and I edit it with Microsoft Front Page. I started use FTP program to upload this file on internet. But it doesn't means I was blind about HTML coding. I knew about HTML Coding but it was limited. Thank's God from Microsoft Front Page (It doesn't mean to advertise this software) I know about Web building so it made me interested. What do you think about this page ? Is it to simple or something else ? 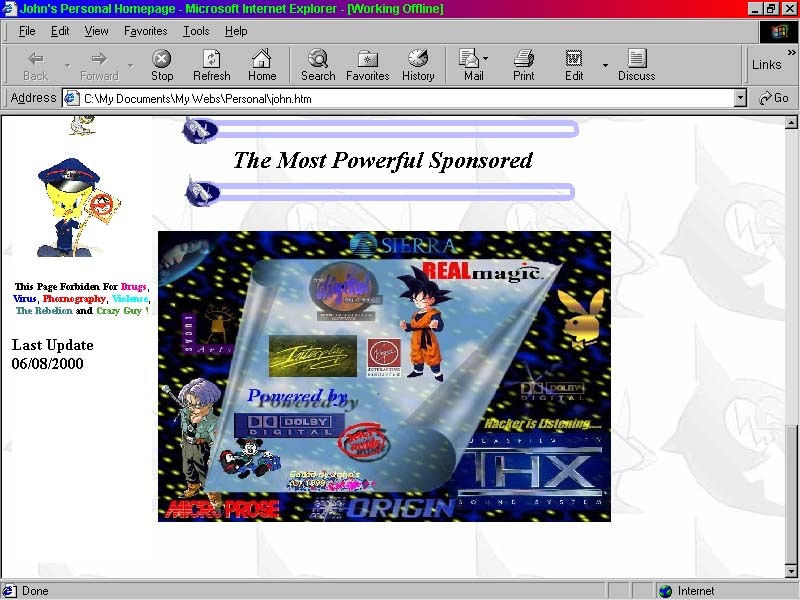 This is the second my homepage building with Macromedia Dreamweaver. I make it with my own idea and I try to use Frame. The result is better than the first one but unfortunately this is my fail project because it has been not upated yet until I made the new one. 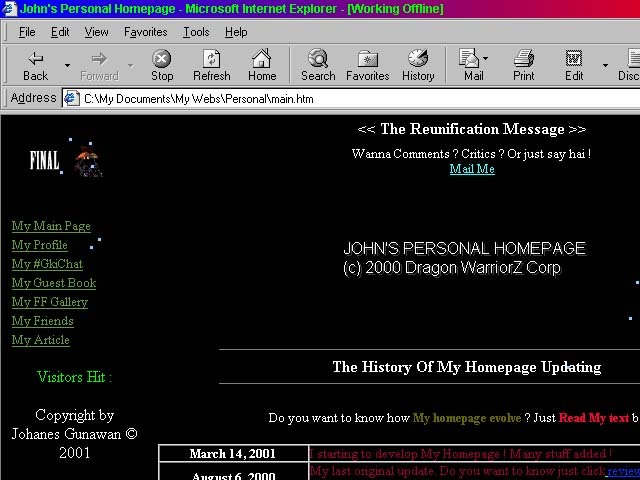 The website evolved become dynamic eventhogh there are many broken link. Java Applet and Flash animation were decorating the website.